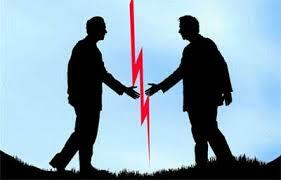 Mergers are still in the air – law firms, accounting firms, banks, even stock exchanges! Yet we all know that most mergers fail to deliver added value. One of the main reasons attributed to these failures is that the merging entities have different cultures and that integration is not handled well. The following process has been designed by my Lumina Consulting partner Simon Allen and colleagues, using original thoughts developed by Barry Oshry (see http://www.powerandsystems.com). The process brings about a shared culture in the new firm. It encourages both sides to share their thoughts and feelings and most importantly both sides create the values and working practices of the new firm. 1: Define the cultures in legacy firms – One definition of culture is ‘what you stop noticing about a place after you have been there six months’…it’s the set of taken- for-granted-assumptions, mind sets and meanings that collectively reveal ‘the way things are around here’. Acknowledging and sharing the legacy cultures is an important first step. 3: Agree the purpose of the merged firm – ‘But what culture do we need going forward?’ This question needs to be examined in the context of the future purpose of the firm. A) Share the unique and special cultures of each firm. Share what you value about each other firm. State what you are proud of about your own firm. B) What don’t you understand about the other firm? State areas of non-understanding and seek responses. Each firm share why they think they are here. Identify the common ground on the purpose and build on this to develop a vision, ideas for strategy and action plans. B) What do we need to be doing to deliver this purpose? What values and behaviours are going to be needed to develop this purpose? A) Given 3 A) and 3 B) above, what of our legacy values and culture would we want to preserve and protect? And what of the other legacy culture would we want to allow and adapt? B) Generate some behavioural proposals and ideas for working together in the future to make the new firm succeed. A) Join together and share 4A) and 4 B). Identify the common ground. These then become statements as to how the entities are going to work together. They should ultimately be seen as enshrined commitments. B) Explore the different views. C) Explore and decide processes for dealing with the differences. Agree processes for acknowledging and noticing the new behaviours. e.g. Informally via personal appreciations, e-mail etc. Consider formally reviewing behaviours as an agenda item for team meetings and conference calls. Consider adding appropriate sections on the firm’s intranet site etc. Most newly merged firms get themselves snazzy new logos, but fail to address the issues of building a shared new culture. Try this process out – I know it works. This entry was posted in Leadership and Management, Managing Change and tagged allow & adapt, facilitation, integration, mergers, preserve & protect. Bookmark the permalink.